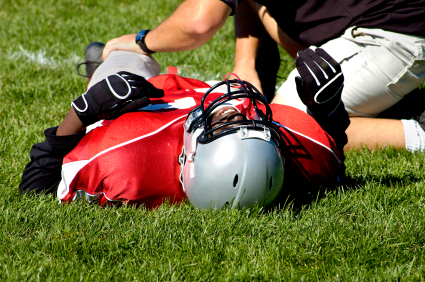 Recently there have been a number of news articles about former professional athletes suing leagues for medical complications arising from concussions. It turns out that concussions are very common in sports that involve physical play, such as football, hockey and, of course, boxing. This year, I have already tried two cases on behalf of former athletes who are alleging disability for conditions that at least partially arise from their pursuit of contact sports. In one case, my client was a former professional hockey player. He reports that during his career he was knocked out cold at least 13 times and that he was hit hard enough to see start countless other occasions. His alleged impairment involves depression and emotional issues that he believes have some root in the damage incurred to his brain while playing hockey. The other client played as an offensive lineman for a large college. He, too, tells stories of getting slapped hard in the head, being thrown to the ground and playing through concussions. His claimed disability includes mood swings, memory loss and erratic behavior. In neither of these cases did my client discuss his concussions or brain trauma with his doctor. I think that for both of these men – now in their early to mid-50’s, head trauma and concussions were part of playing the game – it did not occur to either of them that their current medical problems might be traceable to concussions. I suspect that had I not asked, neither would have mentioned concussions in his testimony. If you played college, semi-pro or professional sports and you have medical issues that could be tied to concussions or other sports related injuries, make sure to report your suspicions to your doctor. Do not assume that getting knocked in the head repeatedly over a period of years has had no effect on you. Post-concussive syndrome may not fully support a claim for disability but it could very well be an important piece of your medical history that can explain and support any number of work activity limitations.